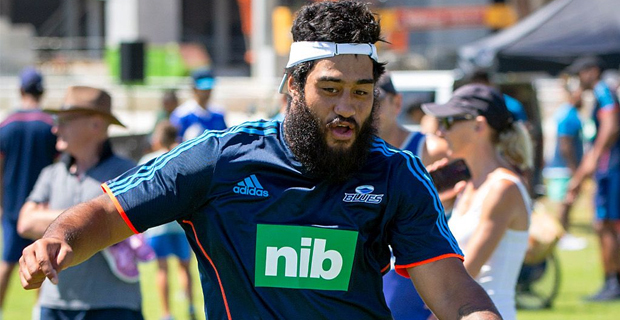 Blues enforcer Akira Ioane admits spirits are high in the Auckland rugby camp, but the team isn't getting too ahead of themselves as they prepare for the Stormers this Saturday at Eden Park. 23-year-old Ioane spoke to media in Auckland saying despite their current two match winning streak, that there is plenty of rugby to be played in 2019. Meanwhile his younger brother, Rieko Ioane has been in impressive form scoring six tries in his last two outings for the Blues. The Blues currently sit in fourth place on the New Zealand Super Rugby conference ladder and will take on the Stormers at 6.35pm this Saturday. On Friday, the Hurricanes take on defending champions, the Crusaders at 6.35pm while the Waratahs meet the Sunwolves at 8.35pm.